An alternative high school in Boise, Idaho serving the city’s at-risk teens is getting a big boost from the union representing the city’s police officers and several partner unions from around the country. 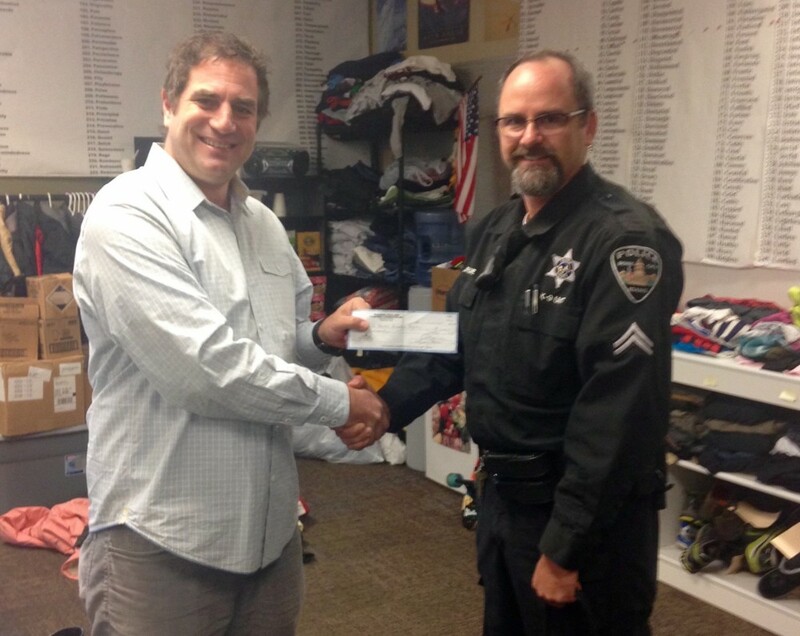 The support comes from the International Brotherhood of Police Officers and the charitable foundation of its affiliate union, the National Association of Government Employees, thanks to Jason Rose, NAGE e-board member and Boise police union and veteran of the Boise Police Department. Rose told his union brothers and sisters about the school at a national executive board meeting in early December. As soon as the union’s national leaders and staff returned to headquarters in Quincy, Massachusetts the following week, they wrote a $1,000 check from the NAGE Charitable Foundation. Union leaders asked for and received pledges of additional support from more locals in the IBPO and NAGE families from across the country. Frank Church High School is the school serving teens who have dropped out of other Boise schools. Students find themselves at Frank Church High School because of a variety of reasons—homelessness, family problems, addiction, or involvement with the criminal justice system, to name a few. One of the school’s teachers, Jess Hawley, noticed kids trying their best to stay in school under heartbreaking circumstances. Some were walking to school in shoes held together with duct tape and spring jackets in the wintertime. Others were working 40 hours a week to keep their families housed and fed while trying to finish high school. Hawley began a program called “Helping High.” Using his own money to start, he purchased jackets, coats, shoes, clothing, and food for a pantry. Students who need items make a deal with Hawley to keep their attendance and grades up. Rose said the program gained additional sponsors in the community, from churches and community groups to corporate sponsors. With the extra help, Hawley stocked Helping High with more practical supplies and bicycles, skateboards, iPods, and other teen-friendly items as incentives. Rose presented the NAGE Charities check to Hawley at the high school in a surprise meeting just before Christmas. He told Hawley how the story of his generosity had inspired people from his union and was bringing in support from across the country. For more information, you can contact Jason Rose at 208-590-4100 or jrose609@msn.com.